I decided I wanted to turn my life around. Coming from a military family with many soldiers and Marines in the family I decided that I wanted to become a soldier. After a great experience with my local recruiter I enlisted for the United States Army. I wanted to ensure I got the right job when I enlisted. I chose the Signal Corps as I felt it offered both the technical skills as well as the tactical aspects of being a soldier. I entered the Army on November 2nd, 1995 at the MEPS center in Raleigh, NC. Soon Afterwards myself as well as other recruits were sent to Fort Jackson, South Carolina by a Bluebird bus. After a grueling 8 weeks I successfully completed basic combat training. 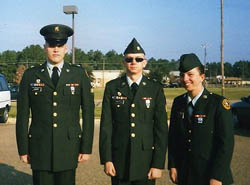 After basic training I was sent for my Advanced Individual training (AIT) at Fort Gordon, GA for the the Signal Systems Support Specialist school (31 Uniform). Our MOS provides tactical field communications for both combat and combat support units. This was one of the low points of my time in the U.S. Army. The reason being is that I really hated some of the folks in my platoon. Another reason was due to restrictions we had in place at the time. I wanted so bad to be out of the training environment. On the bright side the town of Augusta, Georgia was one of my favorite destinations that I had the pleasure of visiting. My first permanent party assignment was with the 1st Brigade HHC, 2nd Infantry Division (Mech heavy division) at Camp Casey, Korea near the DMZ. I shared a barracks room with a Corporal who was an infantryman as well as with a Katusa (Korean Augentee to the United States Army). In South Korea every male has to complete mandatory service in their armed forces between their 18-26th birthday. They complete something similar to the asvab to find out what their apptitude and skillsets are. They are placed according to their skills in the branches as needed. Many of the Katusa's come from wealthy families who are able to get them placed in the Katusa program to avoid service in the ROK (Republic of Korea) Army. 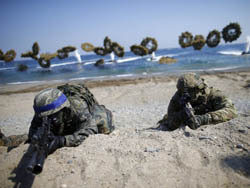 The ROK Army is very harsh and discipline is very strict in the ranks so you can imagine why the Katusa's are glad to be inbedded with the U.S. military. They do however provide our units a more joint relationship with South Korea that would be necessary if the North ever attacked. One particular incident that stands out in my memory from my tour in Korea involved a North Korean submarine which defected off the coast of South Korea. The North Koreans were defecting to the South but the South Korean Army shot these men as they De-boarded their submarine. This led to a hostile response from the North whereas they forward deployed their military to their side of the DMZ. Likewise we forward deployed our forces into an exercise called Foal Eagle. This particular excercise occurs every fall but due to the hostile response from the North it was decided to kick the exercise off ahead of time to show an aggressive response on our side of the DMZ. Anyways South Korea was a fascinating experience overall for a small town country boy like myself. As this was my first time out of the continental United States I took as many chances to see the countryside. I even got the chance (voluntold...not voluntered) to visit a Korean families home. Myself and another soldier in my unit Specialist Wilde got the opportunity to dine with a Korean family. It was nice to actually enjoy real Korean food and observe their culture up close. The Koreans are very kind and respectful to those who are brought into their homes. After my tour in Korea I PCSed to the 502nd MI, 3rd Squadron, 2nd Armored Cavalry Regiment aligned under the 18th Airborne Corps at Fort Polk. At the time when I wasn't very happy about the orders I got to Fort Polk. This changed after the first couple of months as I made friends in the unit. 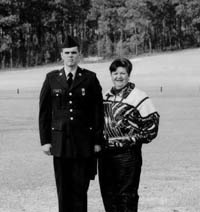 When I arrived to my unit at Fort Polk I was told to be prepared to deploy to Bosnia. While I was flagged to deploy to both Bosnia I never was sent. In 1998, Saddam Hussein once again ignored warnings from President Clinton about hindering U.N. weapon inspectors. This action led to Operation Desert Fox which would have elements of our unit forward deployed to Saudia Arabia. We were issued desert camoflauge uniforms from the Central Issue Facility (CIF) and sent through the deployment line at the on the base gym . Fortunately for us the deployment for our unit never materialized. I honorably left the service in 1999 when my enlistment was up. I then transferred to the Army reserve unit near my hometown of Greensboro, NC. After going back to working the same dead end type jobs I decided I wanted to ree-enter the military. I considered going back to Army but after talking with an Air Force veteran friend of mine I decided to enlist in the US Air Force. As I was prior service I was limited in the career fields I could enlist for. I chose the Command and Control career field and in July 31 2000 I was sworn in. 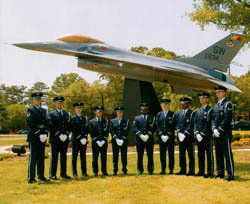 After that I completed 5 weeks of tech school at Keesler AFB, Mississippi with a follow on assignment of Shaw AFB, SC. the Base Honor Guard, Airmen Leadership School, and TDY's all over the world. I also had some really horrible experiences such as the death of my mother to cancer. 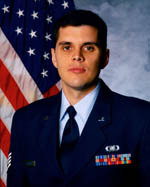 I think the loss of my mother in 2004 really sent my career in the Air Force into a downward spiral. My experiences at my first Air Force assignment (Shaw AFB, SC) was mostly tedious and unenjoyable. I was attached to the 20th Fighter Wing headquarters which supported four F-16 squadrons. Some of the highlights included my time at the Airmen Leadership School in residence and my time in the base honor guard. Some of the less than stellar moments included 9/11. I was in complete shock that day as many of us were. No one was on the roads and many of us in uniform didn't know what was coming next. I was flagged to deploy to a bare base location but that never materialized. 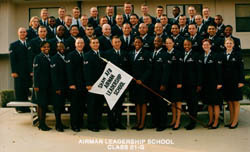 I PCSed Shaw AFB in May 2003. Moody AFB, Georgia was my second duty station in the Air Force. This was a much better assignment in my opinion. I supported the 347th Rescue Wing which was assigned to AFSOC. (Air Force Special Operations Command) We saw TDY's to everywhere from Germany, Qutar, Iraq, Fort Knox, Eglin AFB and Hurlbert Field. I enjoyed this base much more and got a lot out of my time I spent deployed with the Pararescue and combat aircrew. The downward spiral began after my second deployment to Iraq in 2005 I had less than 8 months left in the service. The Air Force had a motto around 2005 called "more with less"...basically everyone was doing more work with less personnel and more deployments. At the time I was working as an Assistant NCOIC in the 41st Rescue Squadron at Moody Air Force Base, GA. Our company had just gotten inspected from the higher headquarters. Anyways our office got a less than stellar marking during that inspection. I got a downgraded rating on my Enlisted Performance Report (EPR) due to the failed inspection which really got me disgruntled. It's true I could've stayed in the Air Force but I decided it was time to leave. T It was at this point I decided I had enough of playing the game. I originally considered joining the Air National Guard or the reserve but with the wars in Iraq and Afghanistan had these types units deployed constantly. In my head I wanted to get a military retirement. Just like my uncles who had retired from the service..I too wanted to get a military retirement. The problem was my heart wasn't in the service anymore. Perhaps I was doing all this for my family and not for me. I think the latter really was the heart of what my issue was. When my mother passed away I no longer wanted this anymore. While I on terminal leave I attended a cleared job fair in Florida where I accepted a job with IT company in Maryland. I began working in the DC metro area in the Information Technology field. In the years that followed I began to pursue certifications to advance my career. I also utilized the post 9/11 GI Bill to obtain a Bachelors in Information Systems. The discipline and time management skills I learned in the Air force as an NCO have served me well in the civilian world. Yes, I served on two combat deployments to Camp Anaconda (Balad Air Base, Iraq). 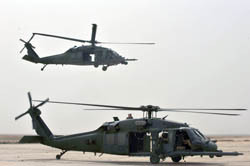 I deployed with both the 41st Rescue Squadron (HH60 Pavehawk) and 38th Rescue Squadron (Pararescue-PJ). I served with both of these units during my time at Moody AFB, GA.
was attached to the 332nd Air Expeditionary Wing. The 332nd AEW for those who don't know is the designation of the legendary Red Tails, also known as the Tuskeegee Airmen. Our primary job in the AOR was to provide combat search and rescue operations in Iraq. At times we deviated from those duties and provided medivac support. My job was to ensure command and control and operational support was in place. I also ensured the communications support was in place for the flying missions. 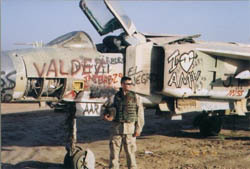 One incident stands in my memory from my first deployment to Balad Air Base. We arrived around the 1st of June 2004 around the time former President Ronald Reagan passed away. I recall seeing his funeral proceedings on CNN at the time. This was my first time deploying to a warzone but I must say the experience was surreal. The camp had not been attacked in several weeks but that quiet was about to end. On 16 June 2004 around 5 PM our Camp was attacked by three mortars. Two of the 122 millimeter mortar rounds hit out on the flight line while the third slammed into the post exchange. Bear in mind that around this time was peak hours for servicemen to be at the exchange. The attack killed three soldiers and wounded over 20 soldiers and airman. The aftermath of the attack was quite a wake up call to personnel in our unit that we were in a warzone. Turns out several of merchants pushing goods inside the PX were feeding grid coordinates to the insurgents outside the camp. The second incident occured later in the month around 7 PM at night. The perimeter of the base closest to the flight line was attacked by insurgents. The Army quickly responded to attack by scrambling an Apache helicopter. As our unit had GP medium tents setup on the flight line we saw this attack occur. The scrambled Apache literally fired its hellfire missles right over our heads. It was amazing to watch this kind of firepower up close and personal. In retrospect this incident was more exciting than it was scary. All in all my first deployment to Iraq was quite a memorable one and something I would never forget. area to include South Carolina, North Carolina, Tennessee and North Georgia. We performed honors for U.S. Air Force, Army, Army Air Corps, and U.S. Navy veterans and retirees. We also provided color guard and provided honors at retirement and change of command ceremonies. This duty really hits home with you and makes you realize how important it is to provide the final salute. I recall one retiree funeral we performed at the Florence National Cemetery in Florence, South Carolina. This particular funeral was for a retired U.S. Navy Chief. (Since there was no close Naval bases in that area our Honor Guard at Shaw AFB performed honors) Our Honor Guard was supposed to supply the firing party and the Navy would supply the flag folders. Well we showed up to the funeral with a full group and just as we suspected the Navy flag folders didn't show up. Thank goodness our NCOIC had the insight to send a whole group of us provide honors. Otherwise the Navy Chief with only a few people at his funeral would not have received the proper honors. It was sad to see that this Chief had so few people to show at his funeral. It made all of us want to stand tall to ensure he received proper honors. *That's my Honor Guard Flight. I am on the far left. My time as an NCOIC really helped me in the civilian sector. The skills they taught me in Airman Leadership School have stuck with me all these years. The most useful of which are the supervision, time management and writing skills they emphasize in NCO PME (Professional Military Education) have tremendously impacted me. While I wasn't the most decorated NCO to serve in the Air Force I served with pride and my took the NCO creed seriously. No medals for valor were awarded to me but my time in the Honor Guard is one of the most memorable. In February 2003 I was awarded the most improved member of the quarter by the NCOIC. At the point in my career I was going through some really tough times. To overcome those obstacles I had going on at the time I had to really dig deep. I think that was an award that I truly earned and reflected my resolve to keep moving forward. The Iraq Campaign medal for service in Iraq. I'm not sure if it is the most meaningful medal but my deployments overseas were some of the most memorable of my service in the United States Air Force. Serving in a combat zone in war time is much different than anything I ever experienced. The picture to right is an actual scrapped soviet MIG from the Iraqi Air Force. My friends made while I had while I was stationed at Fort Polk with the 502 Military Intelligence Company, 3rd Squadron, 2nd Armored Cavalry Regiment. Those were some of the best times of my life. After spending my first year in the military in South Korea it was great to be stateside again. The town outside of Fort Polk ( Leesville) had little going for it but we always found something fun to do. As long as there was alcohol and folks who wanted to have a good time. The friends I made at Fort Polk were lasting ones and folks I still keep in touch with today. We had some great times just being young soldiers in the United States Army. While I was in U.S. Army undertaking Advanced Individual Training at Fort Gordon, GA for the signal Support Systems Specialist school (31 Uniform) I had a extremely funny incident happen. One night in the barracks I was listening to my headphones after lights out. The Drill Sergeant came into the room all of a sudden. I pretended to be asleep. He began to check the wall lockers to see if he could find one unsecure. After which he made a comment to himself that alerted me that he had noticed the headphones on my chest. As he began to walk over I rolled over in my bunk (I was on the top bunk) away from him. I then farted literally in his face. He left the room abruptly cussing to himself that I fart in my sleep. This story always brings a chuckle to me even after all these years. 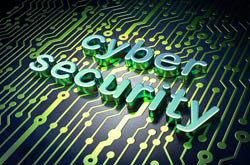 I am currently as a Security Engineer for a small company in the DC metro area. 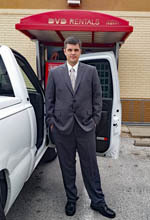 After leaving the service I was hired as a Telecommunications Specialist for a large company in the metro area. I began to pursue IT certifications such as COMP TIA A+ and Security + as well as certifications such as ITIL V.3. In 2010 I began my Bachelors Degree program with Strayer University. I am scheduled to graduate in October of this year. All said I have over twenty years of combined Information Assurance and Telecommunications experience. 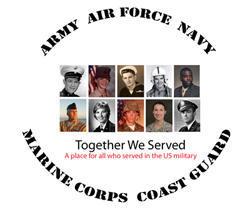 I am currently a member of the following organizations to include the American Legion and VFW. I strive to support other veterans in any way I can. I think my service in a war zone has increased my appreciation for these organizations and the contributions they do to support our nations veterans. I think the military has affected virtually every part of my life. It has given me the discipline to strive further than I ever would have thought possible. The military opened up so many possibilities for me that I would never have been exposed to otherwise. It provided me travel, education and technical training that have stayed with me to this day. As I work for the military now I feel I owe all my success that I have achieved in part to the training I received in the service. My best advice is to make wise choices early on in your enlistment such as career enhancement and college. If the military is not a way of life for you then you need to have a plan to make it out in the civilian world. Whether you stay in 20 years or get out after 1 tour that plan should always include a college education. It allows me to find both fellow service members that I served as well as other veterans and share stories of service, valor and camaraderie. 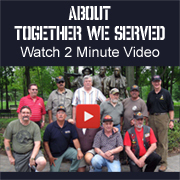 For current and former serving Members of the United States Air Force, Army Air Corps, Air Force Reserve and Air National Guard TogetherWeServed is a unique, feature-rich resource helping Airmen reconnect with lost Wingmen, share memories and tell their Air Force story. 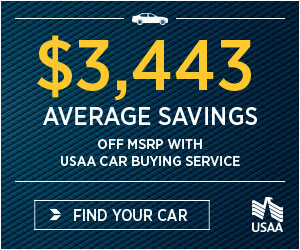 To join AirForce.Togetherweserved.com, please click HERE. * Click HERE if you need a password reminder for http://AirForce.Togetherweserved.com.